You’re a business startup, and you’re just about ready to launch. Or maybe your lease is up at your current business space. Whichever your situation, there’s just one problem: you need to find a commercial space to lease that matches your business requirements. It needs to be efficient, cost-effective and completely compatible with all of your operations. 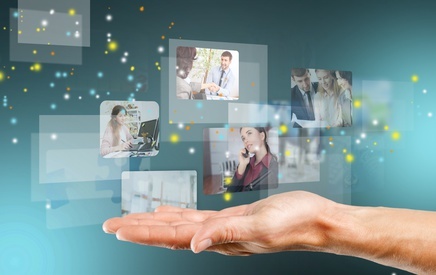 It’s not just a commercial rental space…it’s the face, and foundation, of your business, and it needs to be able to work for you and your business now and in the future. Here’s a common scenario: you’re a business owner, and you have next to no time. You’ve searched the classifieds, you’ve Googled ‘commercial space for rent’ in your chosen suburb, and felt overwhelmed by your choices. Where do you start? What do you look for? As a business owner, it’s your job to look after your business and ensure its future growth and expansion. But there’s a well-defined gap between doing all the groundwork in searching and moving into the perfect commercial property. A commercial tenant representative can help you bridge that gap. What is a commercial tenant representative? When you lease commercial property for your business, you need to ensure that the space and your commercial lease are aligned with your business objectives. It’s a process which involves prior experience, industry knowledge, correct execution and accuracy. Needless to say, it also requires significant amounts of time. As a business owner, you’ll understand that your most valuable resource is time. The more time you spend working on your business, the less time you have to spend working in your business. Which means less time to ensure your business grows in customers and profits. This is where a commercial tenant representative can really help. They do the hard work, so that you can focus on your day-to-day operations. Expert knowledge of the commercial property market. Great connections with landlords & agents. Access to a broad database of commercial spaces for rent that provide extensive opportunities for commercial renters. 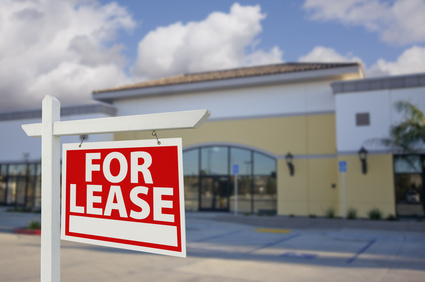 When you’re a business owner looking for commercial property for rent, you’re often a party of one. While you’re looking out for your best interests, the landlord and the real estate agent are looking after their own. Information gathered from real estate agents can be vague, and it’s not in their interests to know what you’re looking for, let alone what will get your business the results you are counting on. And inspections? Another time consuming activity, and one which often eventuates in wasted time. When you work with a commercial tenant representative, they’ll act as your guide and support you through the entire process. They’ll help you find the right commercial property and lease for your particular circumstances, and help you with an exit strategy if needed. An assessment of your individual circumstances. A strategy for leasing – including how to gracefully exit your lease. Honest, genuine and objective advice that helps you make the right decisions. Assistance in executing your plans, so that you can safeguard your business for future success. Superior negotiating skills to get you the best lease deals (on rent and incentives) to save you significant money. Access to comprehensive and varied property options that you won’t find on Google. Lease audits and renegotiation expertise. How much time would you spend finding a commercial property for rent and settling your lease? A commercial tenant representative is focused on decreasing all of that time. It’s their job to execute everything quickly and accurately, all while providing you with the peace of mind that your commercial lease is effectively and strategically managed in your favour. If you want to use your time wisely working on your business, it’s crucial that you have an expert on your side to take care of the finer details. A commercial tenant representative will ensure that your chosen commercial property is leased on your terms, all while providing you with professional and impartial advice. At HKC Commercial Property Consultants, we’re confident that you’ll benefit from our comprehensive experience and knowledge of Melbourne’s commercial property market. Our representatives are positive, enthusiastic and dedicated to giving you the best commercial tenant advice and support. Get in touch today to find your new commercial space faster and on the best terms possible. Kevin has been involved in Real Estate on an international scale spanning from Ireland, the United Kingdom to China & Australia. Originating from Ireland, he completed an RICS accredited Bachelor of Science degree in Property Investment & Development. Following this Kevin focused the initial years of his career in Commercial Property Management whereby he managed a diversified property portfolio throughout the UK to include residential apartments, office buildings, shopping centres, retail parks, standalone retail units & industrial warehousing. Managing these varied assets in some of the major cities in the UK gave him vital experience within the Real Estate industry.